Constructed in 1907, the Babcock Theatre is a bold, colorful landmark in the heart of Downtown Billings, MT. What was once a venue for stage shows and boxing matches, the Babcock is now a venue available to rent for live performances, film, weddings, parties and more. There is also an adjoining gathering area, green room space and fabulous marquee. The Babcock Theatre has gone through many iterations in its 110+ years. Originally built as the Billings Opera House, a fire in 1906 left Albert Louis Babcock with an opportunity to rebuild the theatre as the largest, most notable venue West of the Mississippi. Visitors would travel hundreds of miles to see stage shows, silent films, and concerts. 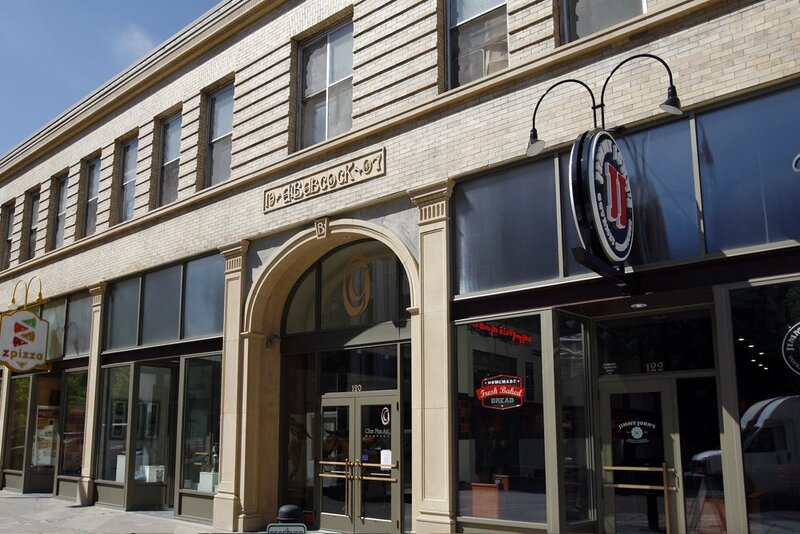 Please read our full history to learn how we arrived at our current iteration as a modern movie theatre. View our Tickets and Showtimes to see a list of movies you can enjoy after shopping in one of the clothing, jewelry, or coffee shops located in the Babcock Building. 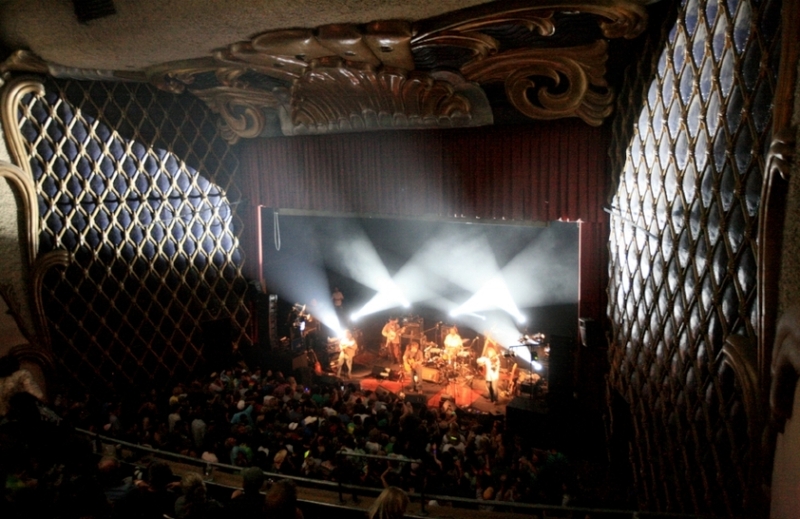 The Babcock Theatre is a 750 seat downtown Billings venue available for rent for weddings, live performances, film, parties and more. There is also an adjoining gathering area, green room space and fabulous marquee. 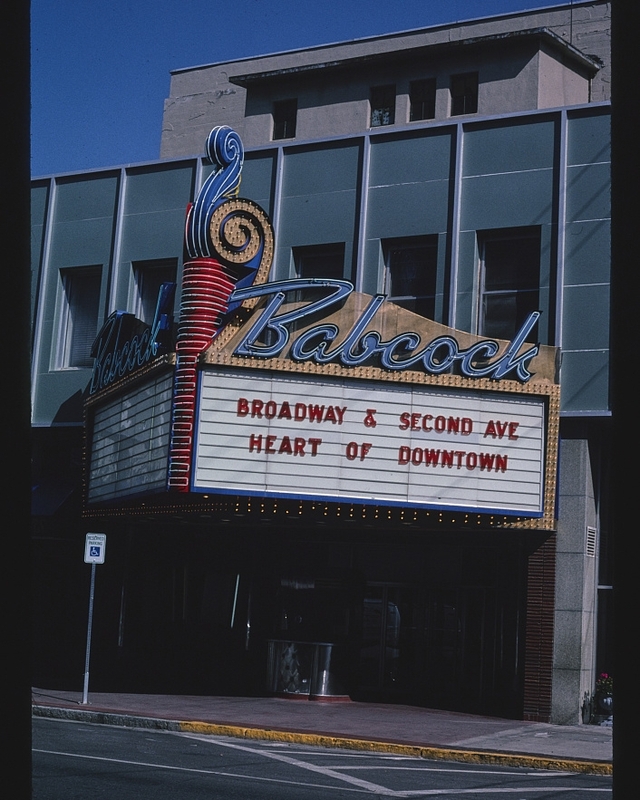 The Babcock Theatre has gone through many iterations in its 110+ years. From silent movies to boxing matches, the Babcock Building has seen countless renovations and improvements. Albert Babcock was born in December of 1851. After moving to Montana in 1882, he quickly became active in the Billings political scene, rising through the ranks as County Commissioner, Chairman of the Board, and eventually State Senator. On top of this, he created the Babcock Theater in 1906 after his first theatre, the Billings Opera House, burned to the ground.